Red Roman blinds could be the perfect choice for your home. And here’s why. 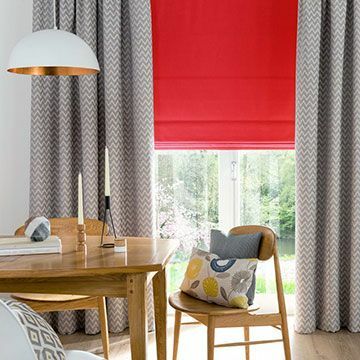 Red Roman blinds combine two totally stylish touches: a striking colour and a sumptuously soft fabric. In our range you’ll find plain red Roman blinds in shades such as scarlet, poppy, rose and berry. These are bright, but natural colours that will add a sense of depth to your décor. Now, if you’re a fan of patterns then browsing our red Roman blinds range is for you. You’ll come across ethnic motifs, countryside inspired details, florals, botanicals, stripes and more. Choose from these designs and make a real statement style at your windows. As you go through our Roman blinds range, keep in mind our specialist finishes. You can have a thermal-efficient or a blackout lining fitted to any design in this collection. Choosing red Roman blinds with Hillarys is so easy it’s enjoyable. Book an in-home appointment and you’ll find out why. One of our advisors will bring the red Roman blinds range to you, giving you a chance to browse the collection in comfort. You can touch the many fabrics and see how each subtly different shade works with your interior. Plus, with an advisor at hand, you’ll have access to an expert’s thoughts about choosing the right red Roman blinds. 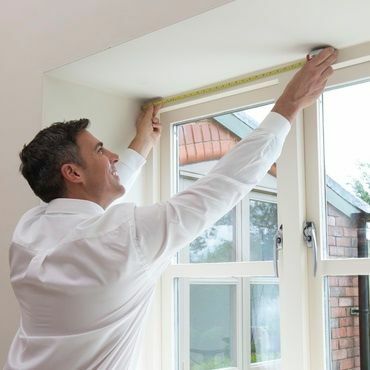 Your advisor will also measure your window and give you a no-obligation quote.